A notorious animal begets scandalous design and components – this guitar’s planks had the honor of being exposed to the much known skunk-like scent this animal is famous for. 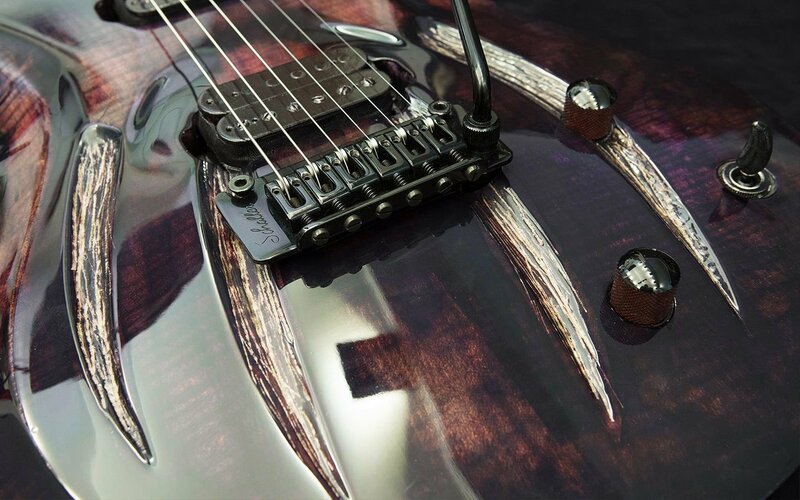 Wolverine’s crampon-like claws and color pattern are incorporated into the custom finish of this guitar – design best described as the Wraith Fire. Made for the deepest, darkest and wildest metal tunings, the guitar will flood everyone with astonishing riffs, with full frequency coverage.